Can you believe that Disney's The Little Mermaid was released in 1989? That's 28 years ago! I don't remember going to watch the film at the cinema but I do remember it was a video I'd often pick from the shelves of our local video shop to watch as a treat over the weekend when I was a child. Ariel has long red hair and blue eyes and although she's not my favourite Disney character (Maleficent wins that crown), she is most definitely my daughter's. 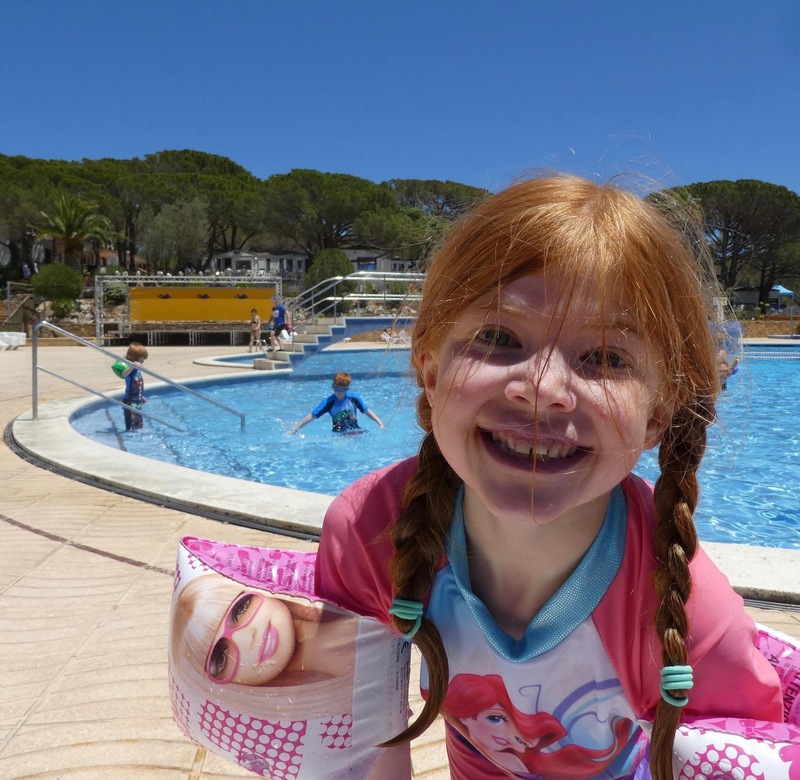 Heidi's Ariel doll has been a good friend to Heidi over the years. Heidi and Ariel both have very similar hair, both love to swim and are both very head-strong. I can definitely see why they have been inseparable over the years. The Little Mermaid is a film that is full of fun characters and if you haven't watched it with your own children, I'd certainly recommend. I adore Sebastian the crab from Jamaica whose job it is to keep an eye on Ariel. 'Under the Sea' is one of the catchiest Disney songs ever made I think. Sebastian and Ariel often clash in the film as Ariel is curious and frequently wanders off into places she shouldn't and Sebastian has to reprimand her. Their relationship makes me think of what it's going to be like having a teenager of my own soon. Heidi is also a huge fan of Ariel's best friend Flounder and when she was younger, Heidi had a full set of Flounder bath toys that always had to accompany her during bath time. I have never been one for siding with a Disney Princess and it's always the villains who I love to watch. Ursula in The Little Mermaid does not disappoint. Ursula is a sea witch and tricks Ariel into trading her voice in return for human legs. Ursula is an evil octopus-like creature and definitely not someone you'd want to bump into. I think we have probably watched The Little Mermaid over 200 times. It's always our go-to film when Heidi is under the weather and it's an easy story to follow for all ages. Heidi probably first watched the film as a toddler and still loves it as much today now she's aged 8. 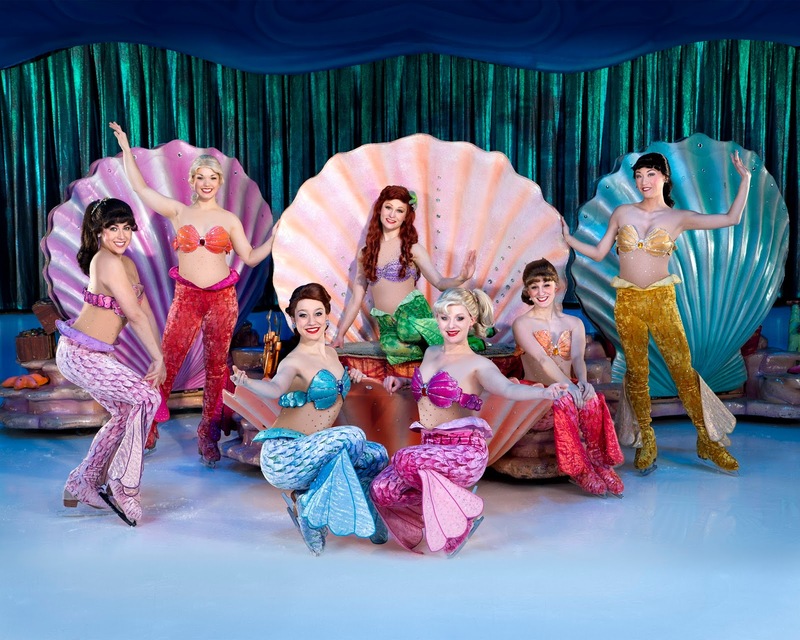 We are super excited that the cast from The Little Mermaid will be featuring in this year's Disney On Ice presents Passport to Adventure. 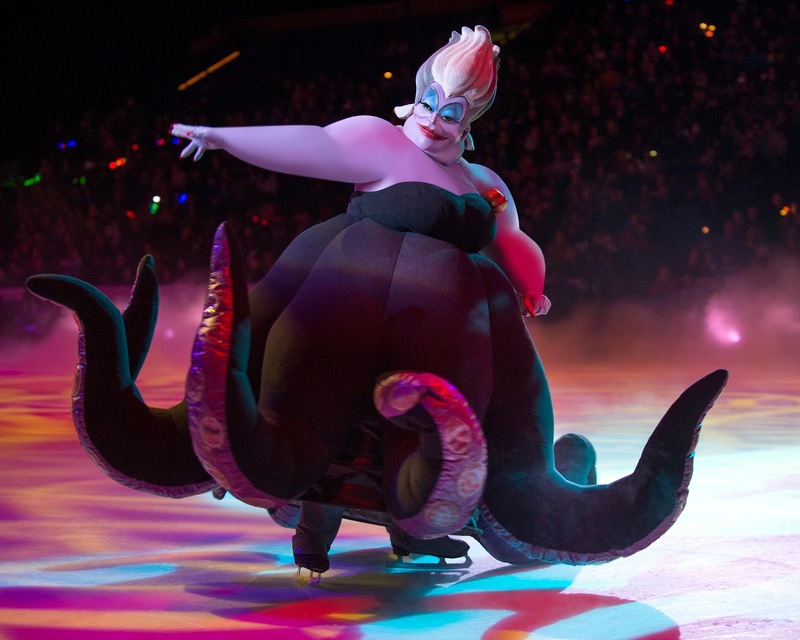 Heidi and I just can't wait to see Ariel, Sebastian, Ursula and co. skating in front of our very eyes. These are definitely the characters we're most excited about appearing when we watch the show in October. 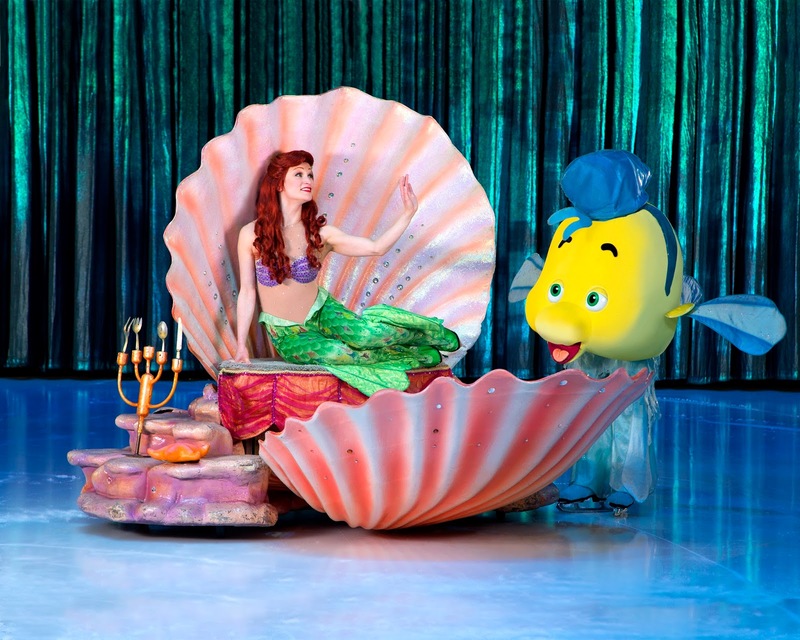 "Celebrate the most memorable Disney tales with your favourite characters in Disney On Ice presents Passport to Adventure. Join Mickey, Minnie, Donald, Goofy and Daisy on a journey to the magical worlds of Disney’s The Lion King, The Little Mermaid, Peter Pan and Frozen. Explore the Pride Lands with Simba, dive into Ariel’s underwater kingdom, fly to Neverland with Peter Pan, and join Anna, Elsa and Olaf’s quest to discover the most magical power of all. Plus, don’t miss the chance to warm up at the Fit to Dance pre-show featuring Zootropolis! Upbeat music and unforgettable moments make this an experience your family will cherish forever!" Disney On Ice presents Passport to Adventure will be visiting Newcastle's Metro Radio Arena between 3rd and 8th October 2017 with a total of 10 performances. Let me know which Disney characters are favourites in your family and who you're excited about watching on the ice this year. We're just getting the boys into Disney movies. They're old enough to sit to watch one right through with just a bit of a wiggle break at the moment! Last weekend was the Lion King, which was really lovely to watch together. We have seen it on stage at Walt Disney World several times, but the movie is such a classic! We have seen the Little Mermaid live show too - that's brilliant - but we haven't watched it yet. Hopefully soon (and no doubt I'll be thinking of Heidi while I watch it now)!